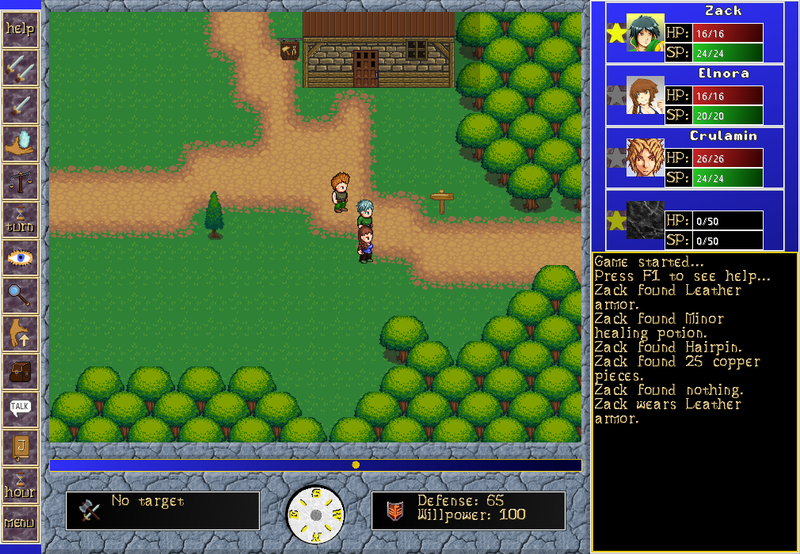 Open source version Heroes of Hawks Haven 1.1.0 has been released. Get it from download page. 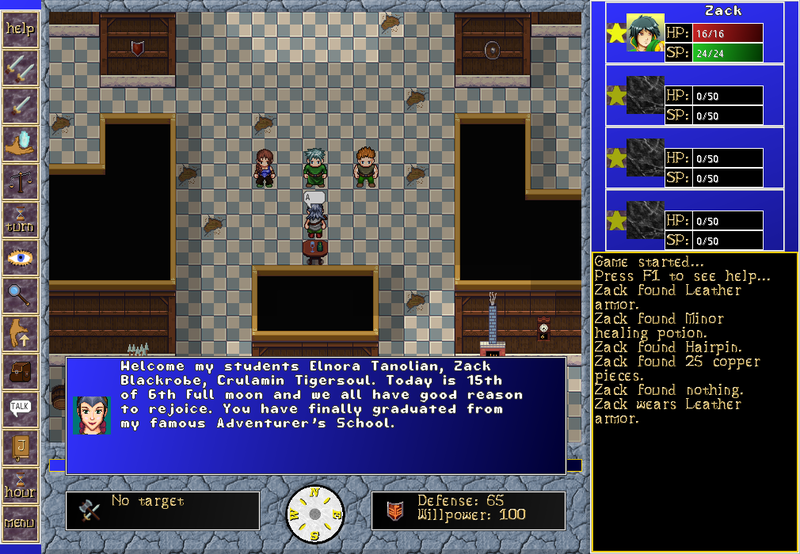 Game has multiple endings and endings depend how and what quests are completed. Game is written with Java but it does not require Java Plug-in for browser so it is desktop application. Since it is written with Java it can be run with any OS where Java can be run. Game has been developped by using OpenJDK, but it should work with Oracle's Java too. Full credits will be shown in the game. Closed source version of Heroes Of Hawks Haven uses JOrbis to play the game music. All other Java code is written by me. Most of graphic data in this software are free game resources distributed by REFMAP Rest of graphics are done by me or public domain from OpenGameArt.Org. Full credits will be shown in the game.